Do you want to enjoy a Stampeders payoff game? Now you have an opportunity to purchase tickets at a discounted price and at the same time support our squadron. 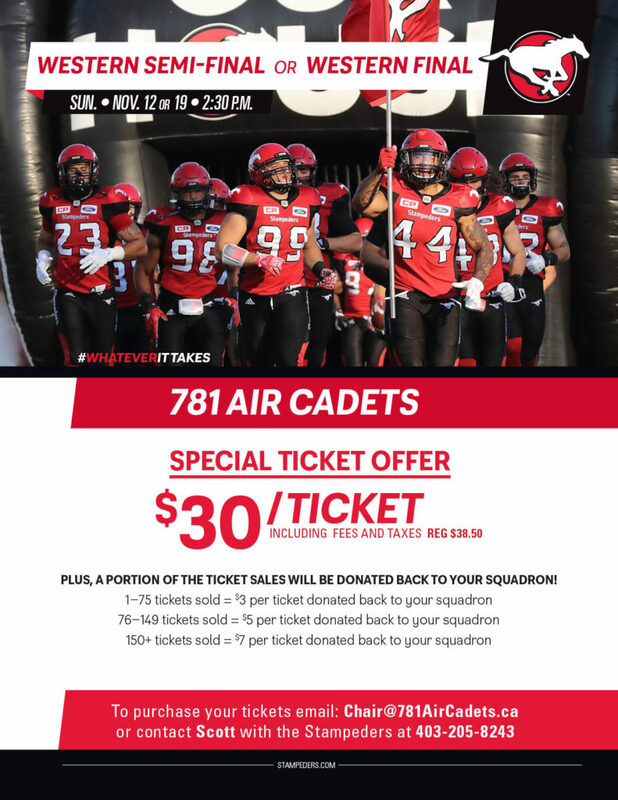 If you want to purchase the ticket, please email chair@781aircadets.ca to arrange it.